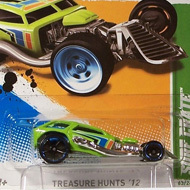 14/15 from the 2012 Treasure Hunts series. 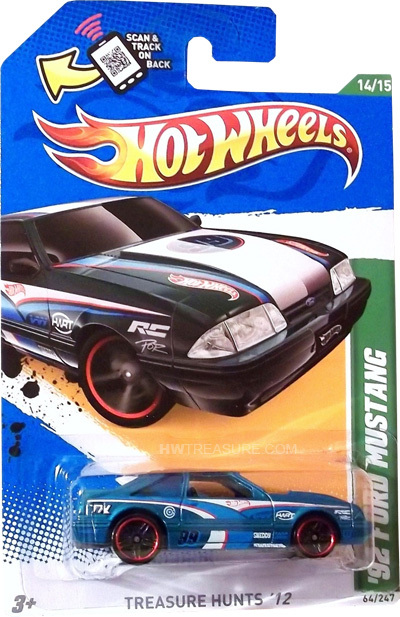 The light blue Mustang is emblazoned with blue, white, and red graphics, “99” and the Hot Wheels logo on the sides and hood, as well as “TH” and a variety of logos on the sides. 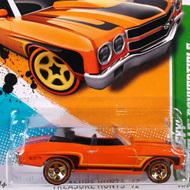 It has blue tinted windows, black interior, black PR5 wheels with red chrome rims, and a grey plastic Malaysia base.